Airtight and Dusty in "The Funhouse." G.I. Joe’s organization: This American organization pulls together its members from the U.S. military and its quasi-military agencies from around the government. When a Joe is first recruited, he operates as a Green Shirt at E-1 status, regardless of his previous military rank. From there, he/she works up through the organization. Upon elevation to E-3 status, the Greenshirt selects a code name and can opt out of the standard uniform to one more reflective of their duty specialties. After a certain amount of time on active G.I. Joe duty, the Joe can (or may be asked to) switch to reserve/on-call status and return to the military at his/her previous post. G.I. Joe itself has about a 100-person “E-3 and above” specialty squad and another 100 Greenshirts available to it at all times. Everyone else is pulled in as needed. G.I. Joe’s mission: The team responds to all threats on U.S. soil and by-invitation in foreign countries. Thanks to many treaty agreements with the U.S. and other countries, the Joe team has a blanket “OK” to send teams of 10 people or less into many of those countries. (f) Responding to systemic violations of human rights. Special Teams: A variety of specialty G.I. Joe subteams have been assembled over the years, each with the task of thwarting a particular threat. Among the teams assembled were the Eco-Warriors (environmental threats and cleanup), Tiger Force (Jungle warfare specialists), Star Brigade (threats from space), Sky Patrol (quick-strike, remote locale team), BattleForce (high technology specialists), MegaMarines (equipped to fight enhanced humans), Drug Elimination Task Force (Urban and anti-narcotics specialists), Anti-Venom (human experimentation), Renegades (Undercover), Sigma Six (mech suits) and the Marauders (elite hard-strike team). 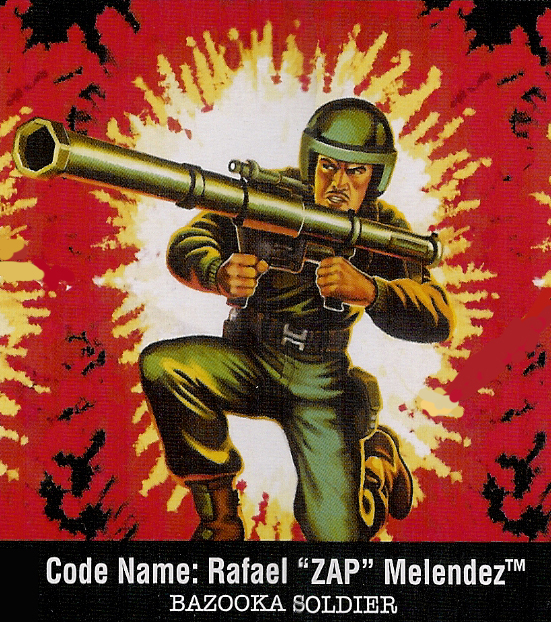 Other “official” forces: Several other countries have G.I. Joe-like teams, including the Russia’s Oktober Guard, the U.K.’s Action Force (which includes Canada, Australia, New Zealand and other related countries) and teams in Brazil, Argentina, China, Japan and a few other countries. These teams are generally considered allies (at best) and competition (at worst), but G.I. Joe is not openly antagonistic towards them as they are against Cobra, the Iron Grenadiers, Cobra-La, Headman’s Cartel and other similar organizations. Finally, some of the characters generally considered “Joes” are spun off into these extra teams. I don’t have anyone in particular in mind, but I’d say one or two of the new characters in each release year would be shifted to those squads. Super-science: In the Joeverse, you can make a weather dominator. If you do, and you use it to extort people, the Joes will be knocking on your door! Monsters: Whether they are created by super-science, the last, horrific survivors of some long-lost civilization or dumped here by aliens, the Joes are happy to fight them if warranted. 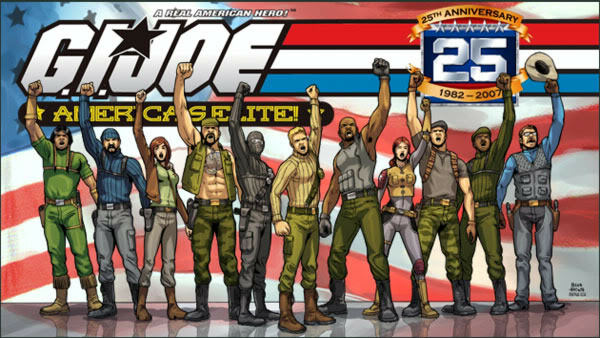 Gangs: From ninjas to swamp people to biker gangs, the Joes won’t necessarily take them on. If those gangs start using super-science and monsters, then you can bet they will. Cobra— As is often described, Cobra is a ruthless terrorist organization determined to rule the world. While originally based in the US, cobra now largely operates on a global level. It has taken over a number of isolated islands, set up hidden bases in remote locations and has hundreds of cells within the US. The organization is led by Cobra Commander, though at various times he has left the organization or been forced from the post. (d) utilizing its sophisticated technologies to strong-arm and extort various groups and governments. Cobra’s plan — But what is Cobra’s goal? The primary goal is to construct a world-conquering army that sets up all the members of Cobra as the elite class, who then rule over a certain territory. …. Or at least that’s what’s in the recruitment manual. In truth, Cobra Commander could care less about any of that. He truly just revels in the idea of conflict and proving he’s the most brilliant mind in the world. Winning is his goal, after that he could care less. This simple fact has thus far eluded the other elite members in the Cobra command structure, and is likely to mean that Cobra never really does conquer the world. Cobra Science– One the organization’s most valuable divisions is its scientific branch. By setting it’s safety standards remarkably low and utterly freed from morality issues, Cobra researchers and designers have moved scientific research decades, if not a whole century, beyond all their contemporaries. These huge advances are largely responsible for keeping Cobra afloat with new ideas, new recruits, amazingly advanced technology and the ability to hold its own against more skilled warriors. 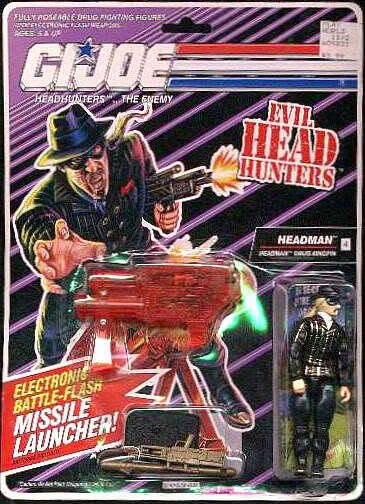 Cobra’s Soldiers — Cobra actually pays its soldiers quite well. Even the grunt-level troopers get somewhere near $100,000 a year and that escalates the higher up the command structure they go. On top of that, Cobra offers opportunities for recruits to “better” themselves, aside from learning a lot of cutting edge tech and science. For those willing to let the scientists “play around,” some soldiers end up with enhanced strength and reflexes, cybernetic parts, keen senses and any number of near superhuman abilities. Upon their death or incarceration, troopers also direct 1 year of pay to the person or organization of their choice. organization and reduce their self-preservation response. Again, Cobra is able to pay these high wages through its various money-making efforts. The Dreadnoks — A biker gang with a membership that spans across the globe. They specialize in hoodlumism-for-hire, general mayhem and partying. Despite their slobby appearance, the Dreadnoks are a very dangerous opponent. Iron Grenadiers — This private army is run by Destro and his relatives. While very closely associated with Cobra, the Grenadiers are a much smaller and more highly-trained tactical force. They are typically used to enter and secure specific zones and deliver dangerous payloads to especially dangerous places. The Headhunters — This Sicilian based criminal organization specializes in narcotic procurement and distribution. Most of the organization is disorganized and considered “street level.” A few high-level members are specialized fighters and assassins. Its command council, ruled by Headman, is well-protected by a large squad of skilled soldiers. ToxoCorps — Lead by Cesspool, the ToxoCorps is a squad of about 20 soldiers and 10 scientists who are backed up by about 100 ToxoZombies. The ToxoCorps typically seeks to enrich itself with extortion and terroristic threats based on the use of deadly chemicals, pollutogens, radiation and dirty bombs. Cobra-La — Locked away deep in the Himalayas is the ancient civilization known as Cobra-La. While it shunned the outside world for most of its existence, it recently was contacted by the Cobra organization, who convinced its leaders of the dangers of the outside world. 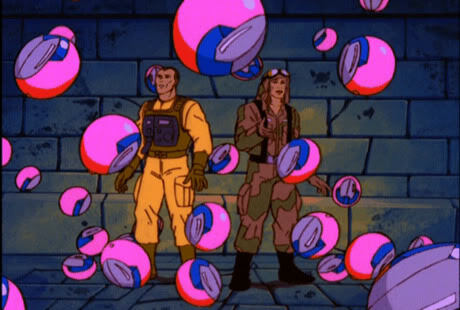 Since that time, Cobra-La has aggressively defended its borders to the point where it committed mass genocides in a number of countries in an effort to kill all humans within several hundred miles of its borders. Cobra-La mainly uses biological threats, such as giant monsters, deadly plant spores and its own “super-powered” soldiers to do battle. Ninjas — Always a pest, multiple ninja clans exist and work almost exclusively as mercenaries specializing in assassination, burglary and kidnapping. Thuggees — This criminal cult, largely active in a geographic swath that stretches from Turkey to China, specializes robbery, piracy and smuggling. Though it had a religious origin in India, the cult now operates on an international basis and focuses on accumulating wealth for its top-level operatives. Manimals — This small squad of science experiments was created by integrating the DNA of deadly predators to humans. The result were about 20 to 30 twisted creatures who have banded together to wreak havoc on humanity in any way possible. Lunatrix Empire — The first aliens known to contact Earth, the Lunatrix Empire has been found to be higly antagonistic towards all of human kind. The Lunatrix have created several bases in the solar system with the intent to take over Earth. Though it’s a grandiose plan, it’s believed that there are less than 100 Lunatrix active in the solar system, plus a small fleet of spacecraft and alien technology.